At Paramount we realize that the look of your linens is just a piece of the puzzle when it comes to accomplishing the desired appearance for your establishment. 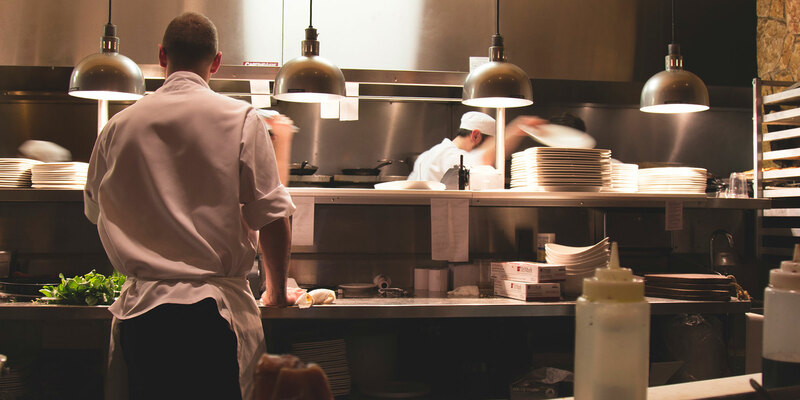 It is for this reason that Paramount offers everything that you need to ensure a professional image for all of your culinary employees as well. We offer aprons, cook shirts, chef coats, chef pants, hats and many other items your hospitality staff may require. At Paramount, we do not just rent uniforms, we provide a SERVICE. All employees will be individually measured for proper fit. Special formulas for each type of soil to ensure maximum cleanliness. All garments are repaired by the next delivery. Uniforms are bar coded to ensure accurate inventory control. All garments are replaced on an “as needed basis”.